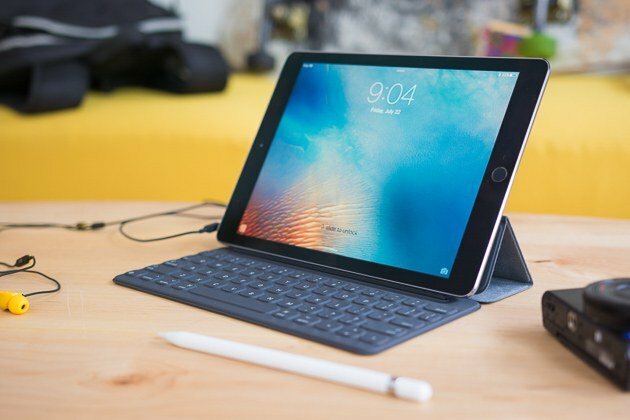 Apple introduced the iPad Pro 9.7 in 2016 when everyone was expecting a new iPad Air 3, but despite the broken expectations the iPad Pro 9.7 did come as a sweet surprise for most Apple enthusiasts. 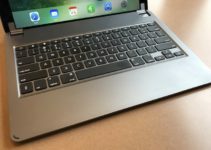 This is not only because it came in almost same dimensions as the Apple Air with a spec bump in performance but also because of its easy integration with Apple Pencil and Smart Keyboard. Judging by the same dimensions of iPad Air 2 and iPad Pro 9.7, you would think that all of your previous iPad Air 2 cases would be compatible with the new iPad Pro 9.7. There is a catch however, the new iPad Pro 9.7 boasts a 12 Megapixel camera with a flash, and although that is all great – this minor bump makes all the previous iPad Air 2 cases look ugly, at least unless you cut an even uglier hole manually to fit in the camera bump. Fortunately, though, you can find plenty of cool iPad Pro 9.7 Cases in the market made exclusively to fit the specifications of this beautiful device. Some of these cases are cheap and functional while others like the leather iPad Pro cases are a bit expensive but a lot more elegant. Considering the wide taste of people who own an iPad Pro 9.7 we have tried to collect 33 coolest iPad Pro 9.7 cases ranging right from the cheaper ones to the top rated iPad Pro cases and we are sure by the end of this post you will have at least one case for your iPad Pro 9.7. Kicking the post off with some of the newest iPad Pro 9.7 cases, these cases have been released in 2017 and you can rest assured that your device will look super suave in all of these cases if you want to keep everything up to date. Nothing can go wrong or old with the original Apple Smart cover and the same can be extrapolated for iPad Pro 9.7. The cover ensures your device stays away from dust and scratches when not in use and also doubles as a kickstand when you are using it. 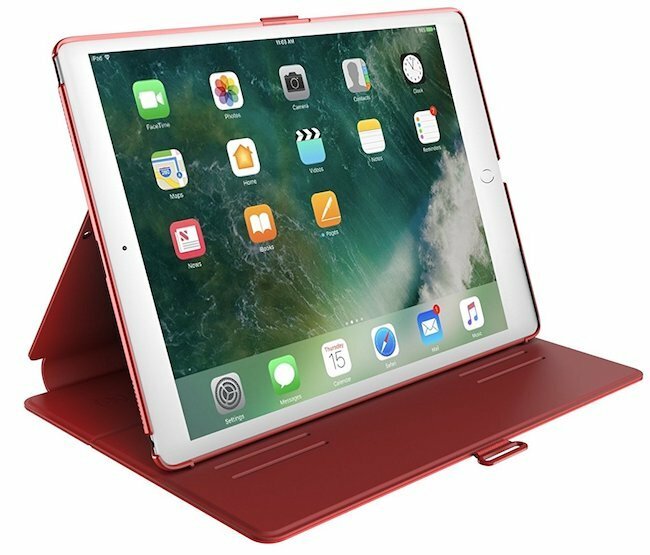 Add to all that the auto wake/sleep functionality on top of plenty of vibrant colors to choose from and you have one of the top-rated iPad Pro cases right there. Despite the contemporary belief of how technology is overtaking the reading market, most people would agree that nothing quite beats the opulence and vibe of an actual book. 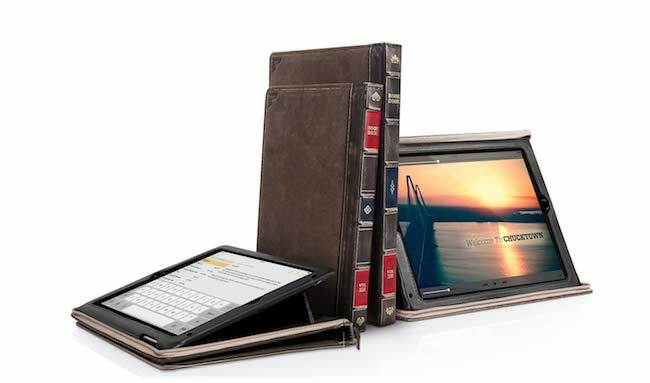 If you are a firm believer of that then you can go with this BookBook case from Twelvesouth for iPad Pro 9.7 that not only protects your iPad from scratches and bumps but also masquerades it as a mysterious book. A subtle case for your device with plenty of colors to choose from. The case fits your iPad Pro snugly and provides two comfortable viewing angles for reading and typing. The case also comes in with auto wake/sleep functionality and there is also a raised edge protection for that camera bump. 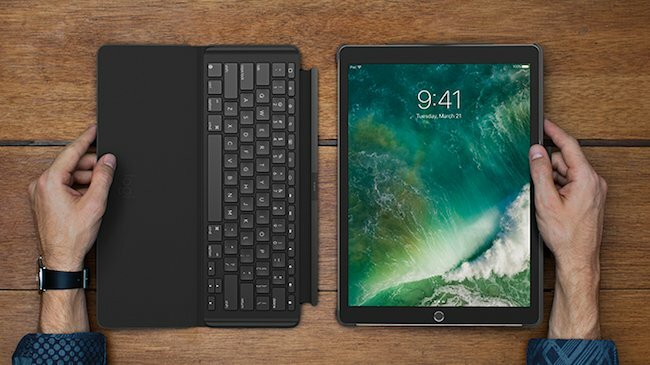 It would not be cool if we did not mention a Keyboard case on our list of the coolest iPad Pro 9.7 cases. And it would be even worse if it weren’t something worth a mention. 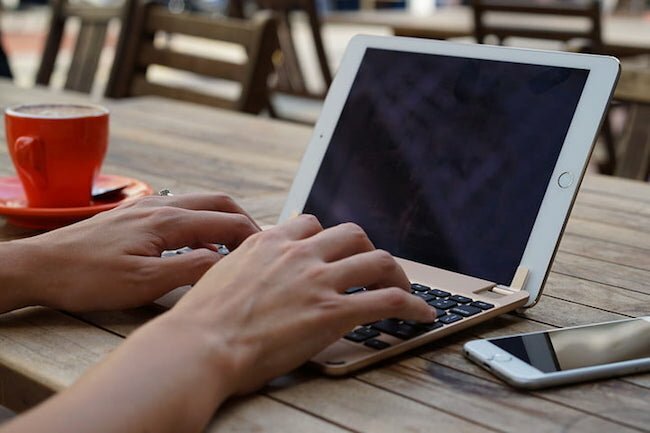 So to keep up with that, we present to you one of the best keyboard iPad Pro case ever made for an iPad in general and iPad Pro 9.7 in particular. 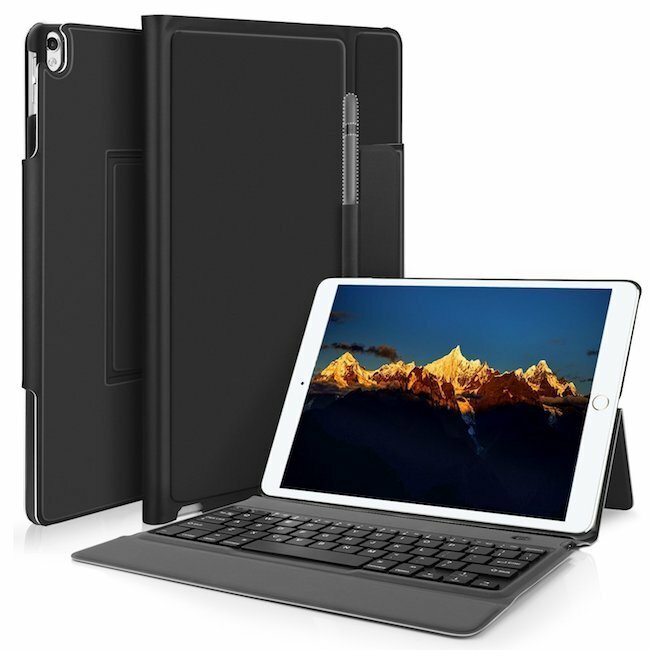 This case covers your iPad Pro head-to-toe and while it does so the inbuilt keyboard ensures you can type whenever and wherever you want. The keyboard comes in with iOS shortcuts that allow you to interact with your iPad without having to touch the screen. The cherry on top is the removable battery option, with a promise to last for 4 years on two batteries. If you are a big fan of Apple smart case but don’t want to spend too much dough on a case, then this might just be the one for you. The cheap iPad Pro case does everything that an Apple original smart case does but can be had at a super affordable price tag. 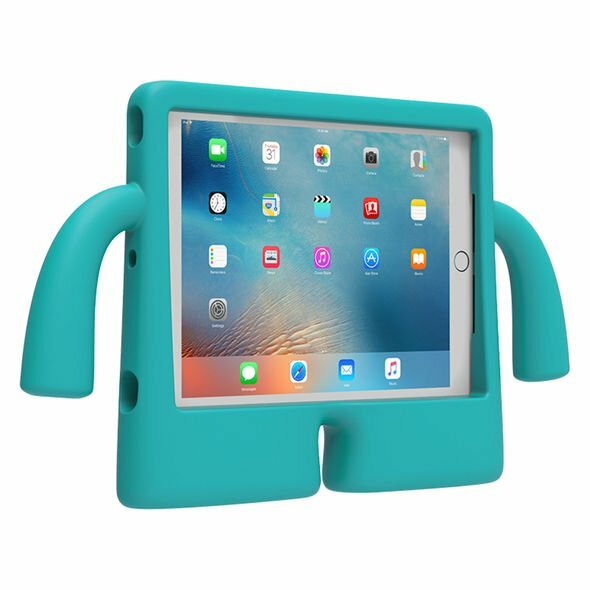 You can consider an iPad Pro case cute if it is instantly able to bring a smile to your face or at least bring a little joy to your heart as soon as you see one. With that basic criterion in mind, in the next section, we have collected the cutest iPad Pro 9.7 cases that will sure up your overall cuteness. 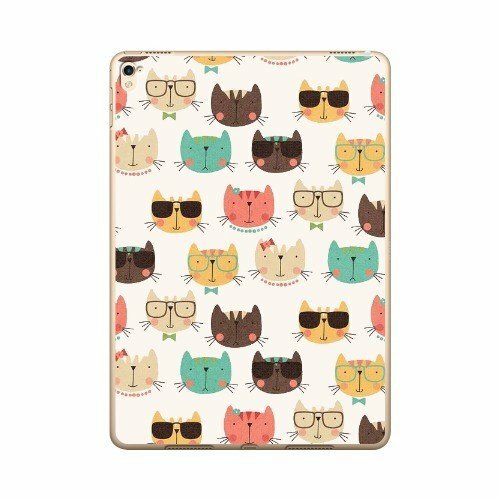 Nothing says cute quite like Kittens and following that very idea, this iPad Pro case has been made to be one of the cutest iPad Pro 9.7 cases in the market. 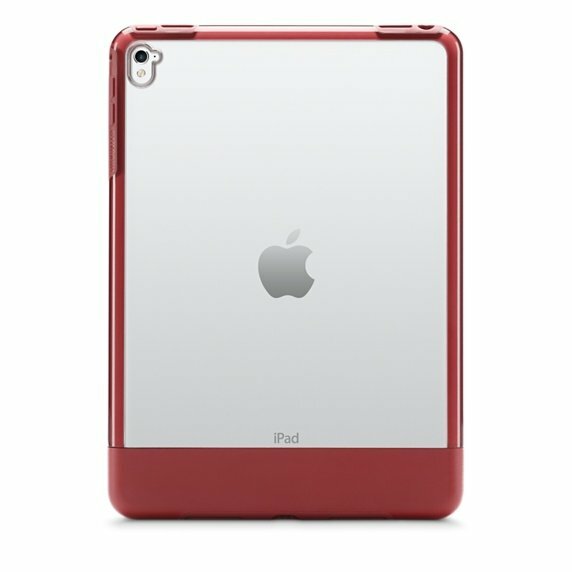 Besides the cute pattern, the case also manages to give your iPad a rugged protection with its impact resistant, polycarbonate flexible shell. iGuy is so cute that it can be easily mistaken for a Pixar character that has sprung to life. 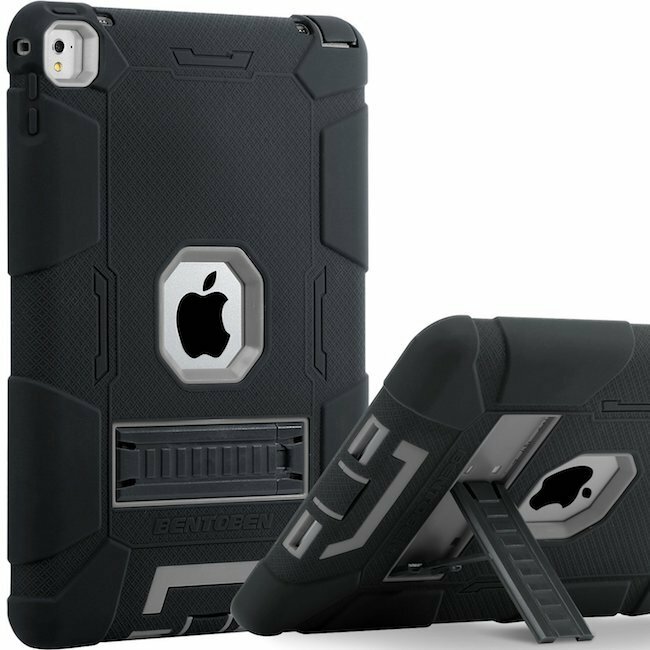 The case is squishy and constructed from EVA foam, which along with its other aesthetic features will make an impact and also take one. 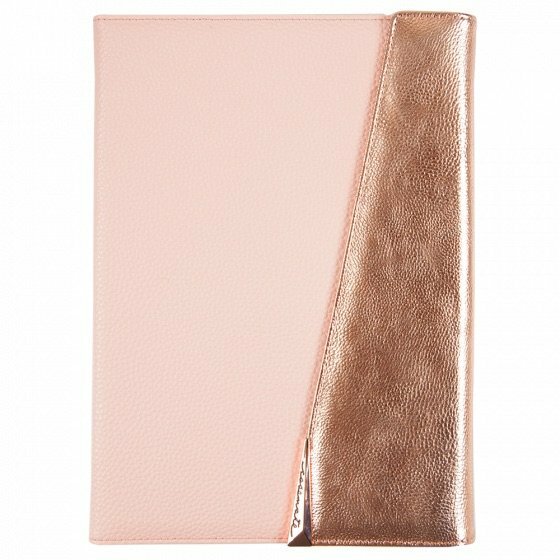 Add some rose gold cuteness to your iPad Pro 9.7 with this exquisite folio case from CaseMate. 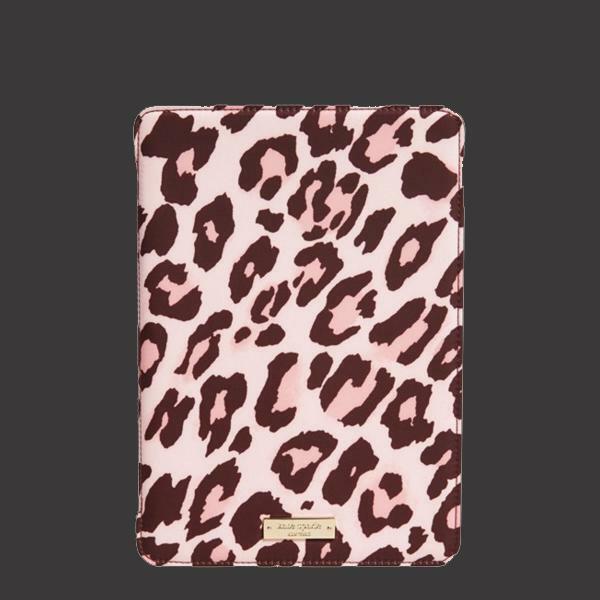 The case will give your iPad a trendy chic vibe while also managing to protect it end-to-end. While the interiors are super protective the exterior is made from a high-quality premium rose gold pebbled faux leather and signature kite hardware to make everything look even cuter. The metallic foil of this cute iPad Pro case is accented for a glamorous shine. 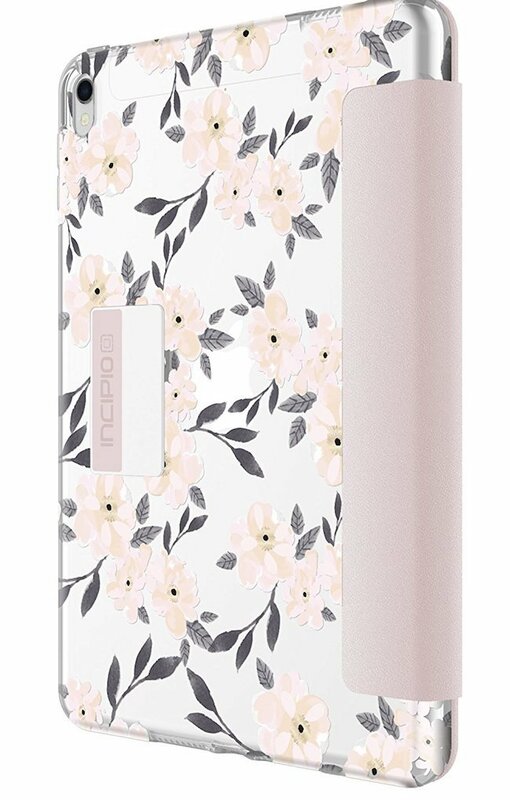 To further the cuteness and glamour profile the case is co-molded to deliver enhanced protection without compromising on style. iPad Pro comes in with the dimensions of the previous iPad Air 2, which means that it is super portable and easy to carry around. 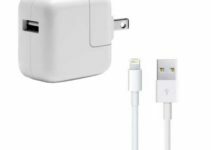 These two qualities alone make it a great travel companion and equally so for people who like to stay productive while on the move. One of the many ways you can get the most out of your iPad Pro 9.7 is to add a keyboard appendage to it, which will help you type in emails or other documents while commuting. 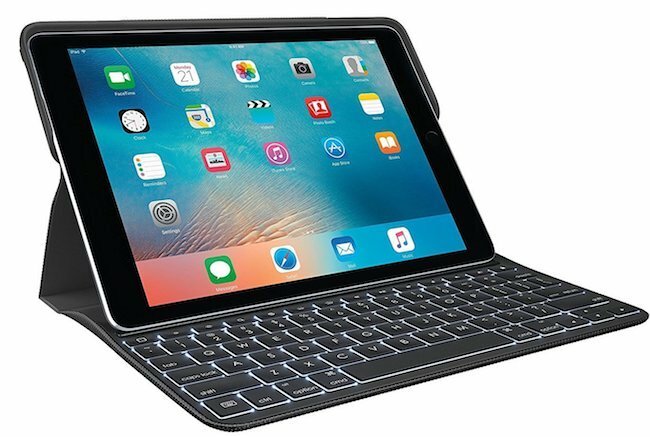 But instead of just buying an iPad Pro keyboard, it is prudent to instead buy an iPad Pro 9.7 Keyboard case that ups your productivity game while also managing to give your iPad an end to end protection. 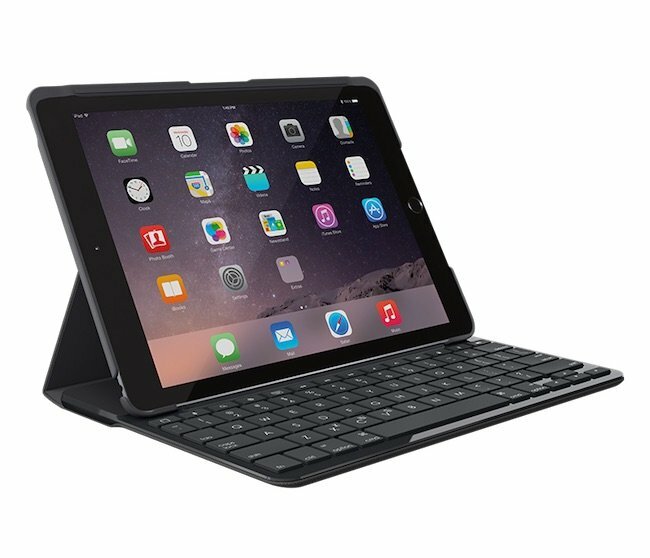 With those things in mind, in the next section of this post, we have collected 7 of the very best iPad Pro 9.7 Keyboard cases. This Keyboard case from Logitech has some serious features. With an ergonomic keyboard that pairs over a smart connection (No pairing required) this keyboard also doubles as a perfectly capable case, and hence the name “combo”. In addition to providing full protection to your iPad, the case also comes in with enough room for your Apple pencil. 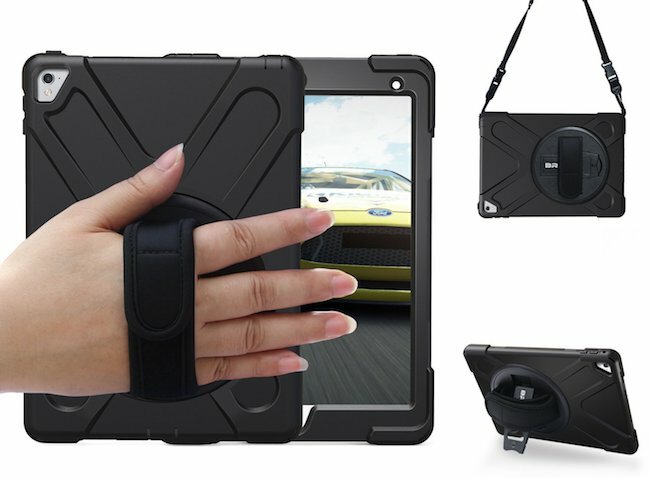 A much cheap iPad Pro case for people who want a protective keyboard case for their iPad Pro but at the same time don’t also want to break the bank. The keyboard is ergonomic and works flawlessly over a smart connection. With 250mAh battery, the keyboard promises to deliver for at least 60 hours at a stretch. 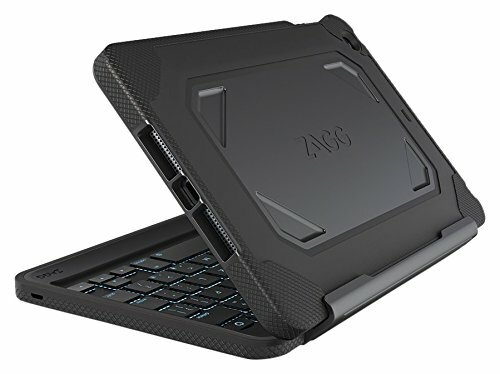 If you like the traditional profile of a laptop and want your iPad Pro to have the same design prospectus, then Zagg Slimbook Pro has you covered. Fashioned to look more like a notebook when attached, this case also allows 135-degree rotation so you can set up that perfect viewing and working angle. Here is something that does justice to the already ingenious and subtle design of an iPad, this Laptop styled keyboard case is made from 100% aluminum which enhances the overall feel of your iPad. On top of it, the case also comes in with a slim profile, backlit keys and 180 freedom of rotation so you can stow it away whenever you feel like using your iPad Pro 9.7 as a tablet. Logitech Create, as the name quite suggests, is for people who spend a lot of time creating content through writing. This keyboard promises to help you in that process and that feature remains its strongest forte. Other than that, the case also comes in with space for your pen and doesn’t fall back when it comes to providing an end-to-end protection. If you are wondering why we didn’t put this beauty at the top of our list, well! 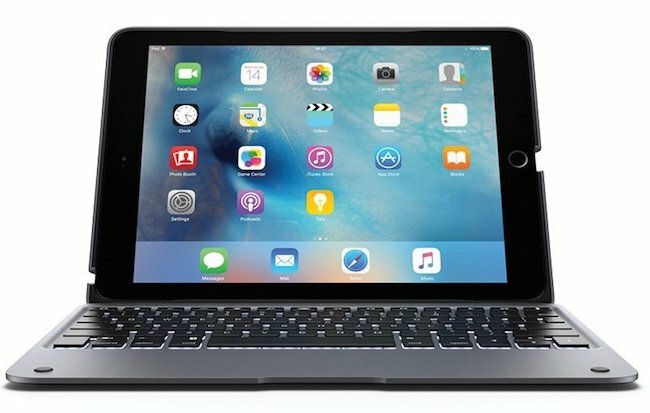 It is because this Smart Keyboard case for iPad Pro 9.7 comes at a hefty price. But if you don’t care much about the greens, this keyboard is probably the best bang for your buck. The cherry on top is that the case is able to double as a protective case. A sleek looking accessory for your iPad Pro that when used transforms your iPad automatically into a workhorse and something that looks a lot similar to a MacBook. The best thing about this case, besides the impeccable keyboard, is its great viewing angles for a tireless typing as well as a viewing experience. After investing a significant amount of money on your iPad Pro, the next thing that instantly comes to mind is to protect it. Now, there are a lot of cases that promise to be the best protective iPad Pro 9.7 cases without actually delivering on the made promises. 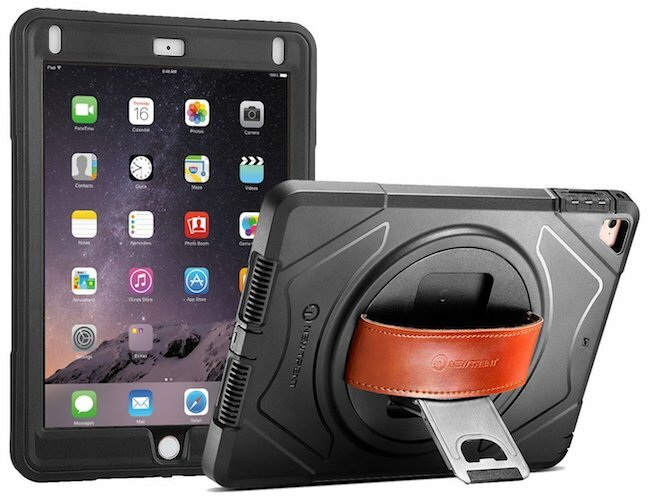 In order to eliminate that ambiguity, in the next section of this post, after conducting proper research and taking thorough consideration of major factors involved, we have collected a comprehensive list of only the 5 Best Protective iPad Pro 9.7 cases. Nothing can beat the protective profile of silicone cases and more so when it is from Apple itself. This minimalistic iPad Pro protective silicone case hugs your iPad Pro tightly with its soft microfiber inner lining while the external silicone feels super comfortable in your hand. OtterBox has been mentioned in the case circles for a long time now, and thankfully always for the right reasons. In particular, Otterbox has managed to totally dominate the protective cases niche. This case for iPad Pro 9.7 is no exception with its clear back and leather accents that also look great. Another big name in the technology market in general and case industry in particular. This case is another feather in their cap with is super protective design and sheer elegance. 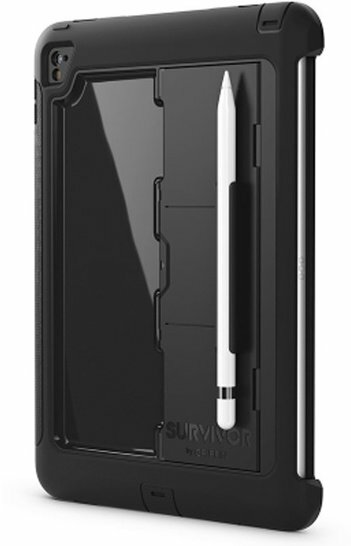 The case has been military tested and also comes in with a special holder for Apple Pencil. Another gem from Griffin that promises to be so protective that it can actually prevent your device from breaking from a 6 feet high drop. Add to that a fully functional keyboard and a soft interior to protect your device screen and you have the most functional and rugged iPad Pro case. 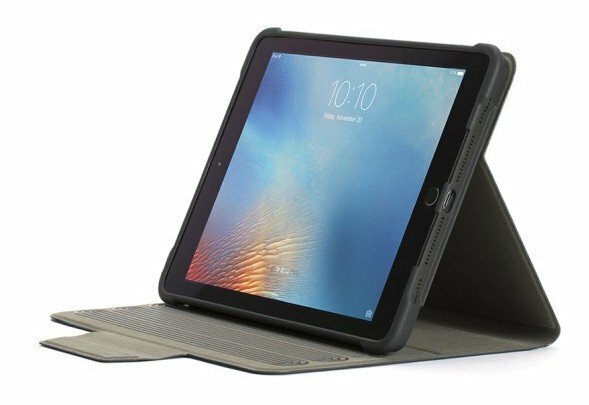 This ultra protective case for iPad Pro 9.7 has passed the US Mil-spec 810G drop Test (26 drops from 4 feet) so you can rest assured that your precious device is always safe. The separate protective space for Apple Pencil storage makes it a perfect companion to carry around your iPad in. The very first look at this case makes you think that it must be a really good protective case and then when you look at the specs, things get a lot more assuring. 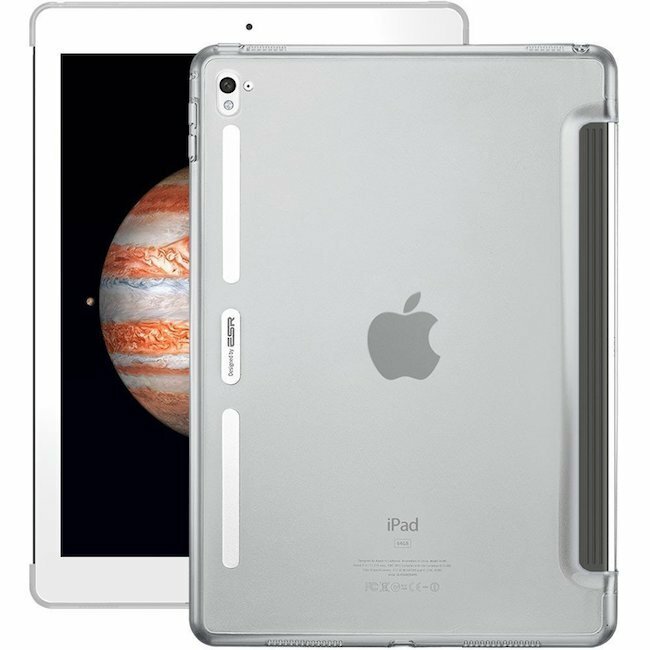 To give you a gist of what we mean, the case comes in with a screen protector, a shock absorbing core and an impact resistant bumper, making sure your iPad stands the test of time. If the hefty price of an iPad Pro 9.7 does not concern you much and you want to actually accentuate the overall opulence of your iPad with a case that is not for everyone, then iPad Pro Designer Cases are for you. 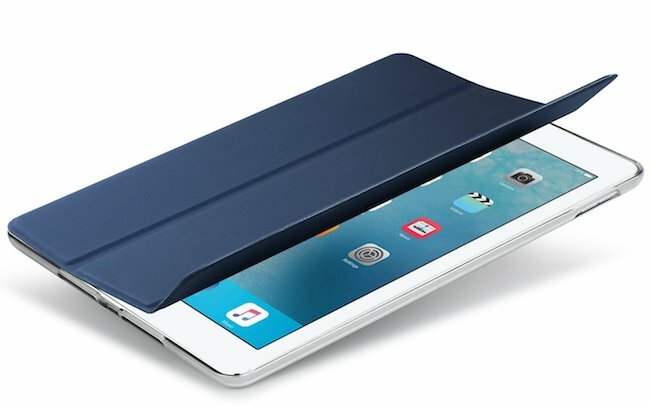 These cases effortlessly pass the criterion of being unique cases for iPad Pro just because of the way they ooze elegance and more pertinently because they are out of the league for most people. Well! This post has something for everything, so in the next section, we are going to present 5 Best iPad Pro 9.7 Designer Cases. 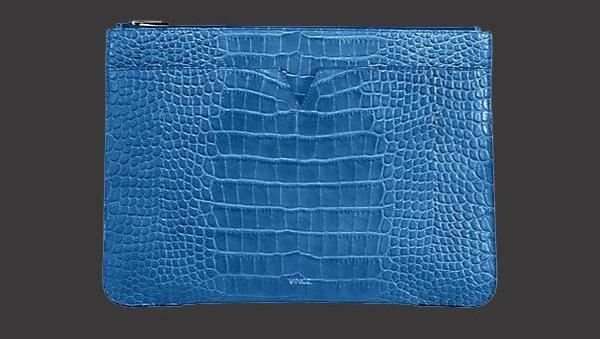 Croc texture always flaunts luxury and this designer case from Vince seems to have done justice to both the leather as well as texture. Nothing speaks elegance like the good old premium leather and this case from Sena nails it in that department. 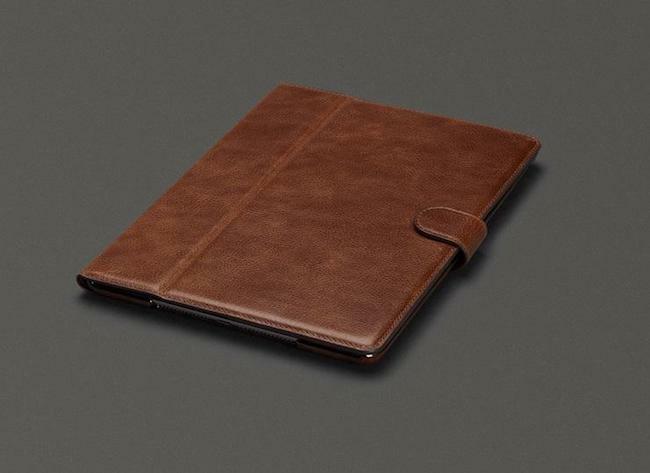 Made end-to-end from leather, this case not only protects your iPad Pro but also gives you plenty of viewing angles to communicate better with your device. Kate Spade is all about positivity and that is quite evident from the line of designer iPad Pro cases from her. This one is a leopard design which might be aged in fashion but the same cannot be said for its luxury. 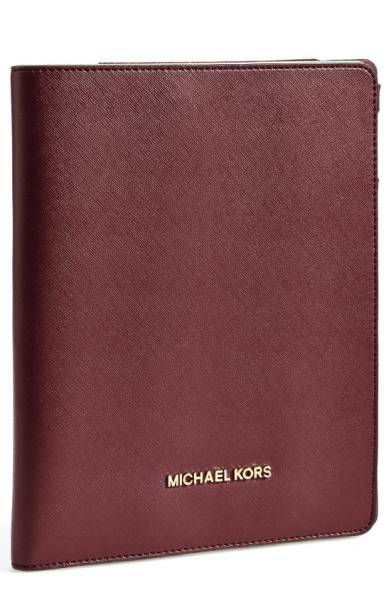 Michael Kors is both designer vibe friendly and credit card friendly simultaneously. We say this because it’s simple design makes it a great designer iPad Case while the price makes it a lot affordable without compromising on the quo. If our list of Protective iPad Pro 9.7 cases didn’t cut it for you, the next section is sure going to help. 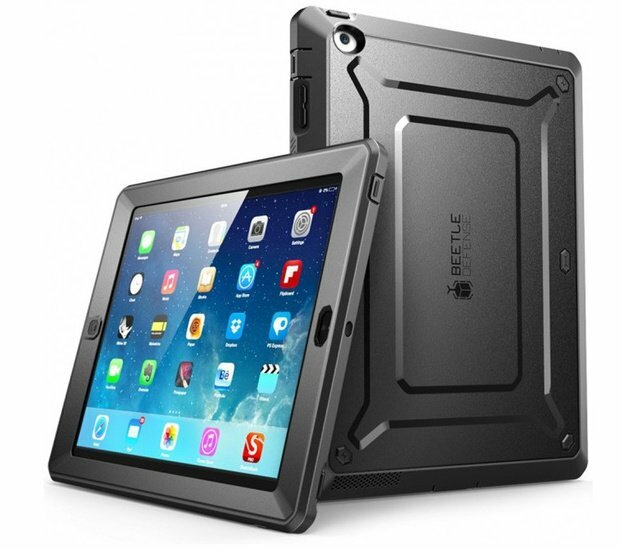 Hard Cases for iPad Pro 9.7 are basically cling-on cases that are made from hard materials which essentially allow them to be used in the most rugged conditions. Keeping that in mind, in the next section of this post we have collected a list of 5 Best Hard Cases for iPad Pro 9.7. This ultimately durable iPad Pro hard case comes with a multi-layered protection and deflects impact energy from shocks and bumps. 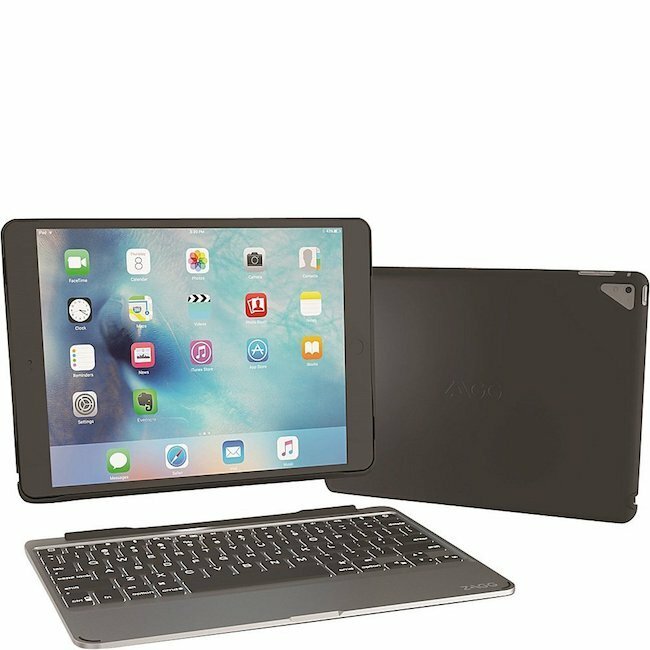 The case comes with 4 multi-functional modes that protect your iPad and allow it to quickly separate it from the functional keyboard for easy carriage. With an integrated screen protector and dual layer protection, this case promises to provide an end to end protection to your iPad. On top of it, the case comes in with a metallic kickstand for perfect vertical and horizontal viewing angles. With a kickstand, hand strap and a shoulder strap, this hard case for iPad Pro 9.7 promise to deliver ultra protection wherever you take it. The shoulder strap is removable and when attached can be used to carry around your iPad just like a messenger bag. If you want to protect your iPad Pro without compromising on its already simple and elegant design, then this Clear Hard Case from ESR has you covered. The case comes in with a polycarbonate hard back cover and a flexible TPU edge that makes for an end-to-end protection. 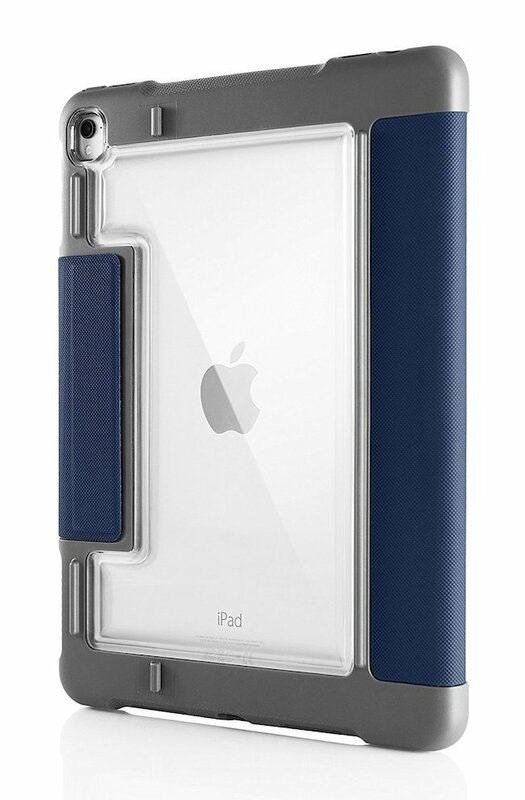 Soft silicone and Hard polycarbonate shell have been used to design this iPad Pro 9.7 case and it promises to be durable for years with that construction material. A kickstand has also been included for comfortable viewing angles while the precise cutouts ensure access to all the ports and buttons. We hope you picked up a few of these Coolest iPad Pro Cases, if you have any personal favorites, feel free to contact us.